I have been living in London for around 2 months now. Still career hunting but somehow surviving. So far all is grand but christ on a bike I would love some British Legal Tender to come my way soon. Anyway, today is not a day to be a Moaning Minnie, the sun is shining and after last nights deep clean of my bedroom, I now feel like I have a rather respectable place to rest my weary head. I’ve been on the prowl for some weird and wonderful things to make my room feel less like an old 90’s office space with a bed dumped in and more like a boudoir of kitsch and colourful fixtures and so far I have been blessed with some treasures. My good friend (and talented artist) Robert kindlyencapsulated my sub-par handsomeness and taste for tack and presented it in a beautiful little art piece for me. This lovely little portrait was kindly gifted as “something for the wall” in the new residence. 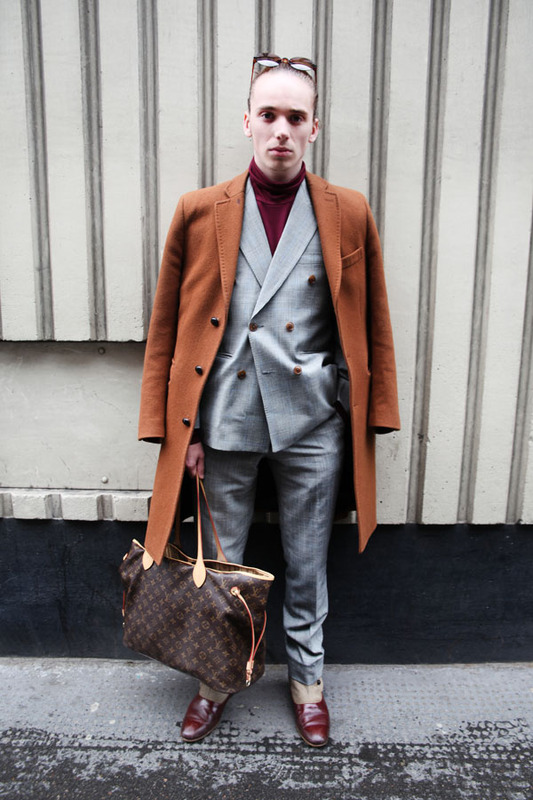 Those of you keep up to speed with my adventures on Instagram, you will probably have seen Robert appear a few times with me in Street Style photographs taken at various seasons of London Collections: Men usually in unplanned but rather complimentary attire. We have dubbed ourselves as the Artful Dodger and Fagin of fashion. Robert’s motivations were to capture the self assembly spirit of street style, using collage and mixed media materials to emulate the sense of the subjects dress style; colour texture etc. I was featured on the Fiasco magazine website in their street style column about LC:M AW14 in June. The menswear shows were incredible this year and I got to go to some incredible events like Oliver Spencer’s after party at Liberty’s and the Ben Sherman and Shortlist magazine party. I’ve been a fan of Fiasco magazine for quite some time, and I was rather excited to find myself on their street style page.